A heavy track at Port Macquarie on Friday holds no fears for Tuncurry trainer Terry Evans who expects Douro to thrive in those conditions over the 2000m of the Better Solar Energy Benchmark 54 Handicap. Douro has won one race for Evans since he purchased him from New Zealand last year but most of his runs around 1900m-2100m have been good and include a second in last September’s Tuncurry Cup. His old form back in New Zealand suggests a heavy track on Friday will be of no concern. The Port Macquarie track was rated a heavy 8 on Thursday morning but with more rain expected. “He raced very well on heavy tracks back in New Zealand and you can bet over there some of those tracks were really, really heavy,” said Evans. Douro stepped up to a more suitable trip at his most recent start when fourth to Southern Delight in a Benchmark 59 over 2100m at Tuncurry on March 10 but did take up an unfamiliar role up outside the leader from the 1000m after over-racing in the middle stages. Douro clashes with Southern Delight again at Port Macquarie but does meet that horse better at the weights this time. Apprentice Leah Kilner will claim 3kg on Douro who gave Southern Delight 4.5kg at Tuncurry but has a 2.5kg pull in the weights this time around. Evans also has outsider Chaos running alongside Douro in the Benchmark 54 but isn’t expecting much from him in the heavy conditions. The Kris Lees-trained Hi Caliber looms as the one to beat in Friday’s race after his strong win on a heavy 8 in a 2000m Class 1 at Taree on February 26. Lees scratched topweight So You Merge who will instead go around in the Class 3 over 1500m. 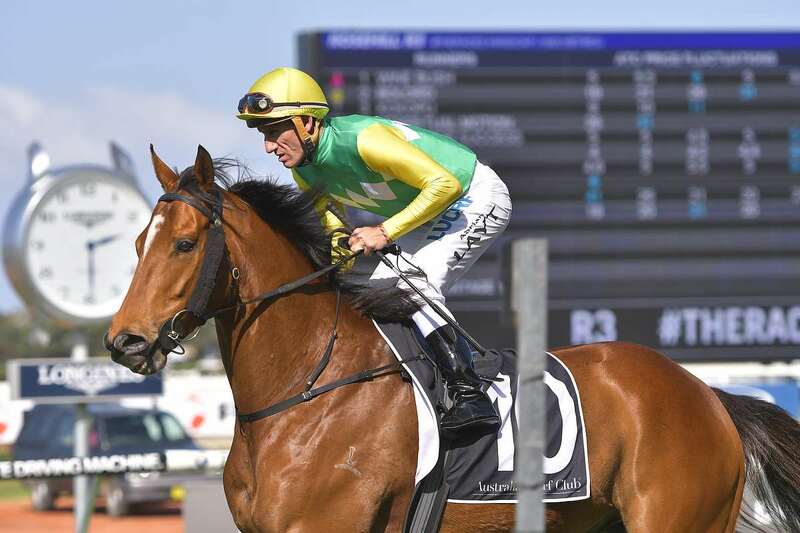 Evans is also hoping his four-year-old Ticket To Fly can continue his recent good form when he lines up in the Master Builders Association Oxley Division Class 3 Hcp (1500m). Ticket To Fly has won two of his past three starts - a Port Macquarie maiden three runs back on February 2 and a Tuncurry Class 1 on March 10.